For anyone who missed Writers Unite this past Friday, here is the agenda and an overview of what you missed. Who knew nouns could be so exciting? 5. Anyone had anything published or pending publication since last month? 6. Computer/blogging - Amanda - worksheets. Logo? 9. 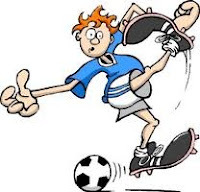 Grammatically speaking - Round 2 (below) 8 Parts of Speech – focus on Nouns! 4. 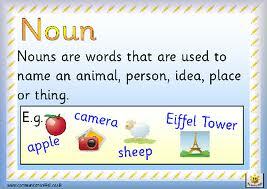 Adjectives are words that describe nouns or pronouns. 5. 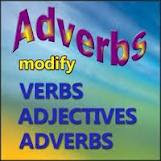 Adverbs are words that describe verbs, adjectives, or other adverbs. These name general, nonspecific people, places, things, or ideas. They start with a lowercase letter unless they begin a sentence. PROPER: These name specific people, places, things, or ideas. They always start with a capital letter. ABSTRACT: These are the opposite of concrete. They name something that you cannot perceive with your five senses - something that does not physically exist. CONCRETE: These name something that you can perceive with your five senses - something that physically exists. COUNTABLE: Yep. You guessed it. These can be counted, and they use both the singular and the plural forms. Anything that you can make plural is a countable noun. *Note that you would never ask for milks, rices, or waters! COMPOUND: These are made up of two or more smaller words. COLLECTIVE: These are singular nouns that refer to a group of things as one whole. SINGULAR: These refer to one person, place, thing, or idea. PLURAL: These refer to more than one person, place, thing, or idea. 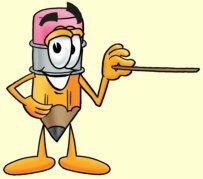 They generally end in with an s.
Out of all eight of the parts of speech, the noun performs the most jobs in a sentence. e.g. Mary kicked the ball. e.g. Mary kicked Jimmy the ball. e.g. Mary kicked the ball at Jimmy. e.g. Mary is a soccer player. e.g. They named the baby Becky. Thank-you for posting this...a great idea to summarize our meetings and post 'refreshers' here! I really have to get on here more.